Don’t miss this month’s offers and promotions from restaurants and top hotels in Bangkok, Pattaya and Hua Hin. 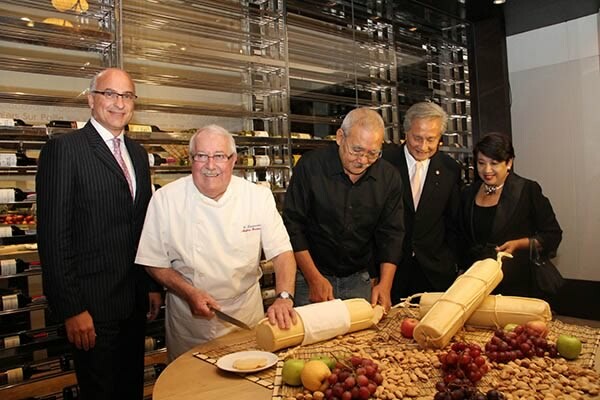 Millennium Hilton Bangkok recently hosted Claude Lauxerrois, French cheese master for one week of memorable dinners for its guests. The successful event paired cheese samples with local wine tastings. High-quality cheese products with features including familiar names, such as Selles sur Cher, Comte, and Roquefort. Imagine romantic lights and a sea breeze at the privacy of a pool villa, your personal chef preparing a feast the way you like it. Oh, and did we mention your butler, who makes sure no glasses remain empty? They even take a photo of you two – just to make sure this night shall not be let slip away. 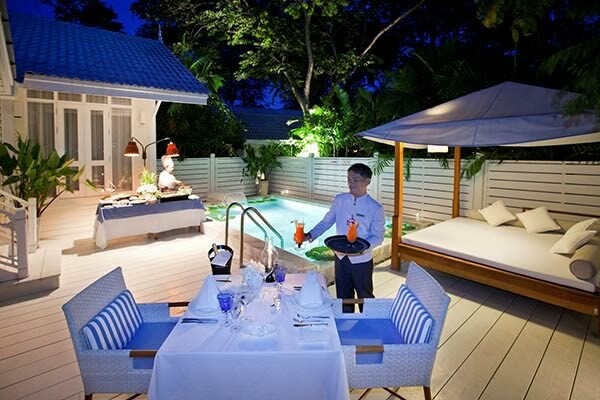 Package is designed for couples staying in poolside villas and it includes a tailored BBQ dinner for two, with three menu options and two glasses of sparkling wine, a private chef and a butler service, romantic décor in a villa, and a photo souvenir. Promotion price is Bt5,900++ per couple. 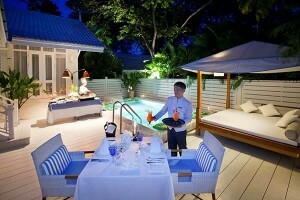 Where: Centara Grand Beach resort & Villas Hua Hin daily at 19p.m.-22.30p.m. 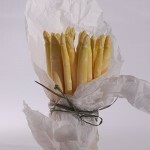 The versatile asparagus has been cultivated for thousands of years for food and medicine. 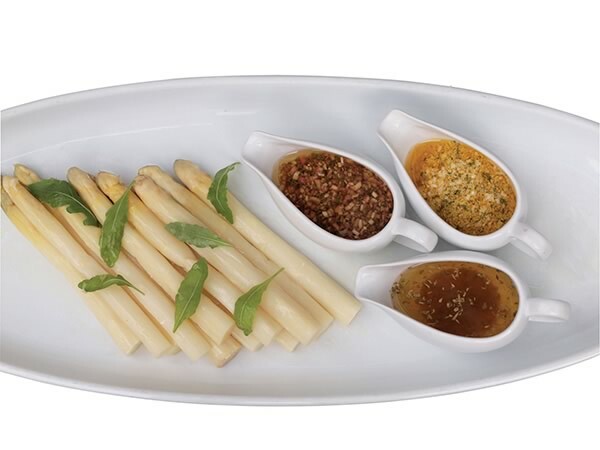 Keeping this tradition in mind, chef Anchalee Ponrungsit has created an impressive menu of the white asparagus at the Madison of Four Seasons Hotel. 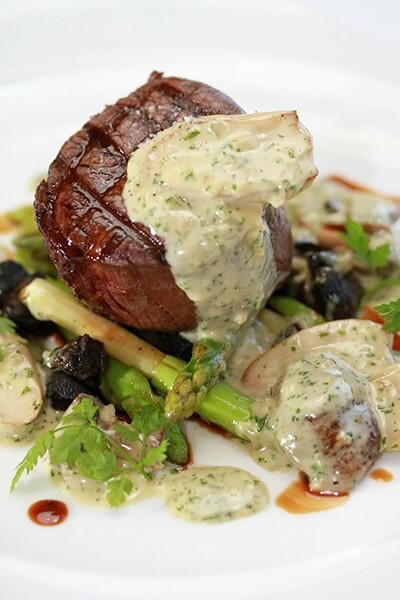 Especially the accompanying spreads of Champagne Glazed Turbot, Shellfish, Beef Tenderloin and Glazed Shallot make us tick. Parkview Restaurant celebrates the Broadway musical “Phantom of the Opera” with a gourmet buffet on June 2-8, with a chance to win two tickets every day. International favorites, fresh seafood and BBQ for Bt1,600++. 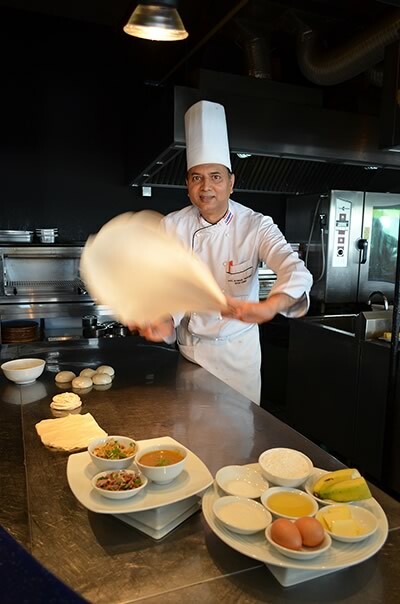 Flipping and tossing, the resident Indian chef works his way through the flatbread. The locals prefer it with sweet condensed milk, but you could mix it up a bit with bananas or berries. Or then you can make it into a savory snack, filled by spicy chicken curry or tender mutton. 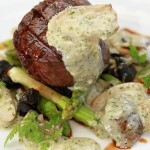 Join the action in the daily buffet lunches and dinners at Terrace@72 throughout June. Where: Terrace@72, Ramada Plaza Menam Riverside, 2074 Charoenkrung Rd. 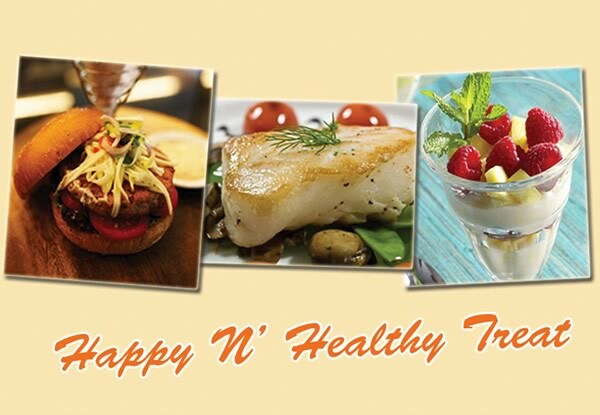 “Happy N´Healthy Treat” includes a four-course set dinner of health-conscious dishes, such as homemade salmon whole-wheat burger or pan-roasted sea bass, and for desserts raspberry parfaits or gourmet sorbet with tropical fresh fruits. On top of this, you will be prepared a glass of fresh fruit juice. Promotion price Bt899++ is available throughout June, 6 p.m. till midnight. Janchi Guksu, ‘noodles feast’ is the new piece of art from Hanna Kim, Korean cuisine specialist. The festive soup is made from wheat noodles, seaweed and of course kimchi. In June, The Square of Novotel Bangkok on Siam Square will be transformed into a colorful spice market during weekends. This is where the regional cuisines of the world have a chance to shine and mix. A team of chefs will be at your service to prepare creative dishes, such as wok-fried fish with fresh herbs and Green Peppercorn, Spicy Lemongrass with Prawns and Poached Salmon with Jalapeño Velouté. If you wish to try them all, a dinner buffet is available for Bt950++. The suckling pig, an aromatic Chinese delight takes the stage in Lok Wah Hin Chinese Restaurant in June. Hong Kong Chef Leung first marinates the little pig in Chinese wine and his own secret seasonings and then flames it over an open fire until the skin turns crispy. 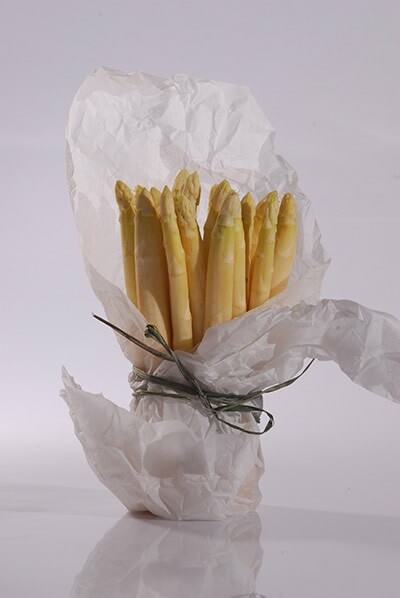 It is this long process, which acquires the final rich taste, and that is why this delicacy should be ordered in advance. 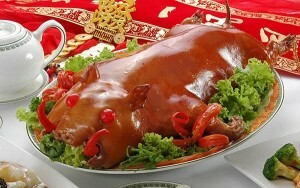 Discounted price: Bt1,999++ applies on the BBQ Hong Kong Suckling Pigs during June. Big Brazilian BBQ with free flow of beer and Samba queens in Zico´s Pattaya Restaurant, Centara Grand Mirage Beach Resort. Samba show at 8p.m. and 9p.m. from Wednesday to Thursday, with dinner for Bt999++. ‘The Art of Ellipse” introduces monthly specials that will make any pizza-lover blush. The crush of June is Blue Cheese Potato Pizza, made from potato slices, blue cheese, red onion, caramelized garlic cloves and roasted rosemary leaves. But do not get too attached, as July comes in with another sweetheart: larb moo pizza, inspired by the Thai spicy pork salad. 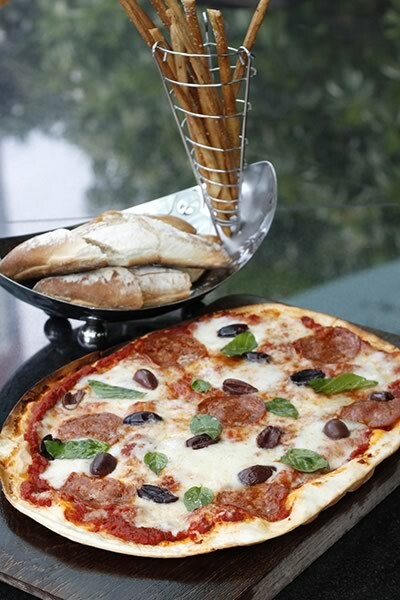 As our favorites change, happily we can trust that the Italian style thin and crispy crust, as well as the rich, homemade tomato sauce remains. Price is Bt395++ for the monthly changing menu until December. Moreover, take away orders 4-6 p.m. and receive a 50% discount. Kids’ corner will never be the same. A far cry from the usual scruffy and uninviting play lots, Voilá in Sofitel Bangkok Sukhumvit gives something way more exciting for the little ones. 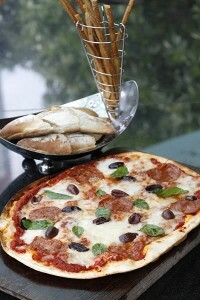 On Saturday lunches, kids are encouraged to join fun activities such as making their own pizza and cutting cookies. While the kids are making friends and probably having their best Saturday meal, adults may choose their gourmet bites from an extensive buffet from Western classics to Asian delights. 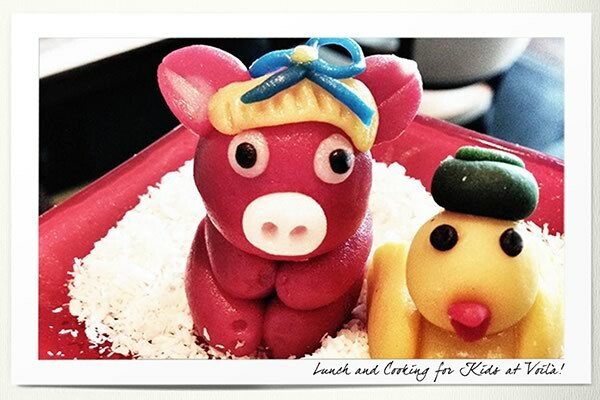 Saturday lunch is set at noon to 3 p.m. and priced Bt995++ for children. Parents get 30% discount. Monk Fish and lobsters from the Mediterranean shores, Loop Italian Restaurant presents a menu of traditional and contemporary Italian cuisine made from imported goods. After 36 years of strenuous experience, and two world championships of pizza dough tossing, Italian Guest Chef Pasqualino Barbasso performs his art for the first time in Thailand. 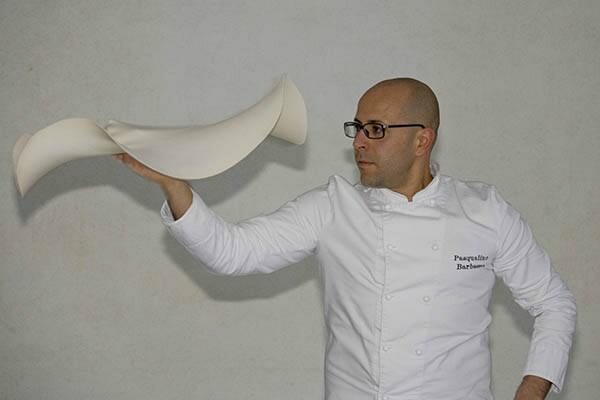 His special menu takes Tavola by surprise from July 12 to 16. In the end, this is an art meant-to-be-eaten, so thankfully Barbasso does not forget the importance of flavor. He introduces fresh names, such as Cenerentola Pizza topped with potatoes, ricotta cheese and caviar as well as Arrotolata Pizza rolled up with mozzarella, Parma ham and artichokes sauce. Don´t miss the exclusive live show at R Bar on July 12. Tiger prawns and sweet clams are the stars of the June menu in Xing Fu Chinese Restaurant. Cooked with your favorite sauce, BBQ, chili, garlic or even steamed drunken, these seafood delights are here to spice up your lunch or dinner. 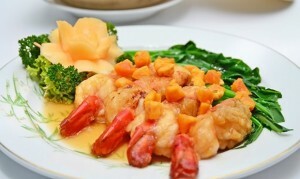 Prices for tiger prawns start at Bt580++ and sweet clams from Bt380++. Try Pullman King Power Bangkok´s four new ways to cook snow fish, the delicacy freshly imported from the depths of Southern Ocean. Menu for only Bt990++. 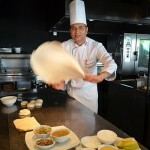 G@Restaurant hosts an excellent buffet menu on weekdays: Pasta (Monday), Sandwich & Panini (Tuesday), Asian noodles (Wednesday), Japanese (Thursday) and Vegetarian Indian food (Friday). Lunch includes Caesar salad, free flow of herbal juice and soft drinks plus a variety of fabulous desserts. All for Bt159 every weekday 11:30 a.m.-2 p.m. If you want to take your time, reschedule your visit for a lazy Saturday or Sunday morning, and brunch with Galleria 10´s international favorites around the world. The brunch table is Bt399 net per person. Alaskan snow, Chilean king, Atlantic brown – no, these aren’t titles of diamonds but gems from the ocean! 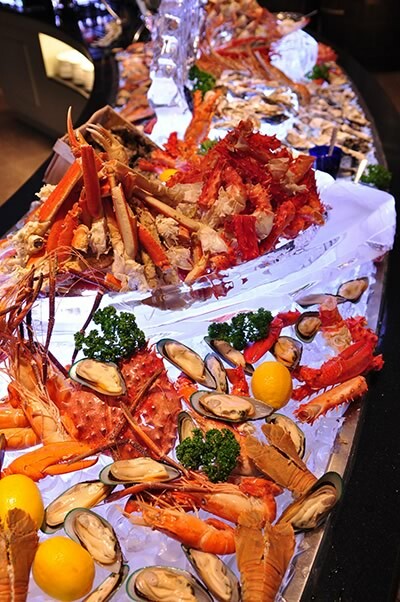 Famous crab dinner at The Glass House Restaurant at Eastin Grand Hotel Sathorn for Bt1,599++ and 50% discount for children. By the way also enjoy Sundays at The Glass House. Lunch at noon-3p.m. and dinner 6p.m.-10p.m for Bt1,200++. Ambassador Bangkok offers an “Afternoon High Tea” promotion at only Bt295++ per set. In keeping with the tradition, teatime includes savory ingredients such as vegetables, cheese and meat. 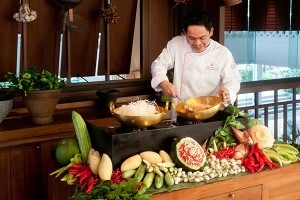 Chumpol Jangprai, “The Iron Chef of Thailand” has crafted a unique Sunday brunch menu at Anantara Bangkok Riverside Resort & Spa. Start your perfect morning at the Polynesian dining room, by the tropical garden and the majestic Chao Phraya River. Price of the Sunday Brunch is Bt1,400++. Kurobuta Pork is the most highly prized pork in Japan, and now is a staple of many fine dining restaurants around the world. 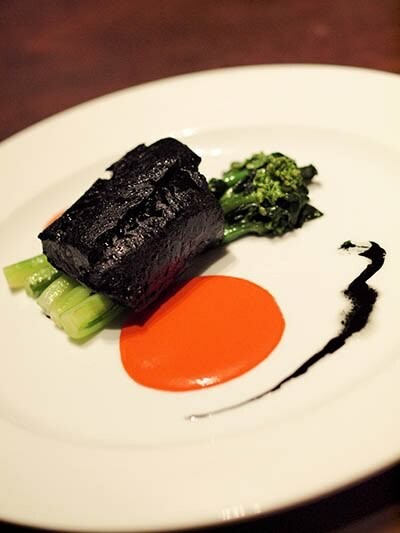 In Bangkok, you can enjoy them at Youzen, in the Japanese style that made them a household culinary name. Don’t miss our Kurobuta Steak Set and Kurobuta Curry Rice Set to initiate your taste buds to their wonderful flavor at Youzen Japanese Restaurant of Windsor Suites Hotel – Sukhumvit 20 in June. Buffet Dinner Bt699++ /person. From June 28 June to July 13, Angelini Restaurant and Bar at Shangri-La Hotel, Bangkok presents the “Best of Tuscany,” where the delights of the freshest produce, beautiful culture and Chef Ugoletti’s perfect culinary skills combine to create a spectacular dish on a plate. Diners can have fun with the weekend special at Angelini Terrace with Tuscan-style barbecued whole lamb, boar and chicken. Highlight dishes include Lobster Bisque with Roast Scallop, T-Bone Steak on the Grill Pappadelle Pasta with Wild Boar, Cantola Ice Parfait with Ice Cream of Vinsanto, and many more interesting Tuscan-style dishes. Guests can enjoy the Wine Dinner Night, 6:30-10::30pm, featuring a five-course Tuscan menu paired with wines from Marilisa Allegrini on June 29. 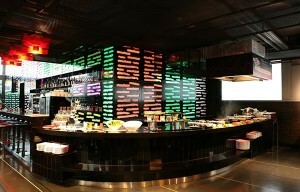 Price is Bt2,800 per person.An a la carte menu is available on June 28 and from June 30 to July 13. In June, crown your pleasurable meal at Golden Palace Chinese Restaurant of Windsor Suites Hotel (Sukhumvit 20)with “Pan-Fried River Prawn with Salted Eggs,” the food special of the month. This is really a must-try dish, and don’t miss the special: “Peking Duck” at only Bt699. 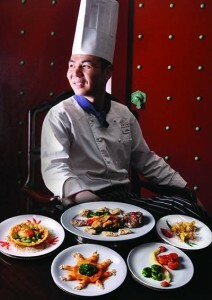 Live “Gu-Zheng” music will entertein you along with the delightful taste dishes during weekdays. 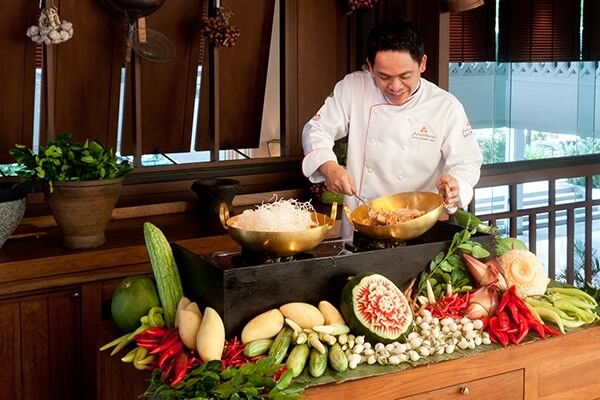 Chef Tussanee Putkaew of Salathip Thai Restaurant at Shangri-La Hotel, Bangkok presents flavorful Thai cuisine by applying the science of Thai elements to create signature dishes, available from June 5 to 30. As health and diet go hand-in-hand, Chef Tussanee recommends different types of food with nutritious recipes to suit different star signs. Diners can indulge in the “Flavors of Thai Elements” from 6:30pm to 10:30pm and enjoy live traditional dance performances from 7:45pm at Salathip. In June, Windsor Cafe will put the spotlight on “Sea bass with Butter Lemon Sauce,” a delightful fish dish that will set your hunger pangs really working. Crown your wonderful buffet meal with this dish and you will always want to come back at Windsor Suites Cafe International Restaurant of Windsor suites Hotel Sukhumvit 20. Come 4, Pay 3 All-you-can-eat for buffet. Buffet Lunch at Bt499++ / person. 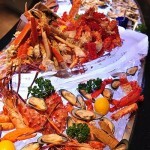 Seafood & International Buffet Dinner at Bt699++ / person. St. Regis Hotel celebrated the spirit of the holiday season and held the St. Regis Charity Culinary Gala in the Astor Ballroom 8th March. All proceeds were in aid of Her Majesty Queen Sirikit´s SUPPORT Foundation, which assists needy families with means for income through crafts and folk arts. The highlight of the evening was an auction, which raised 12.65 million Baht for charity. Moreover, guests had supported the good cause by paying at least Bt200,000 per head for a dinner, which was prepared by St. Regis chefs from different locations. Guests were also treated to world-class entertainment including a string ensemble Vie Trio and a Thai saxophonist Saxman with his jazz band, performing with featuring artists Jakob Dinesen and Yasmin Kierkegaard.